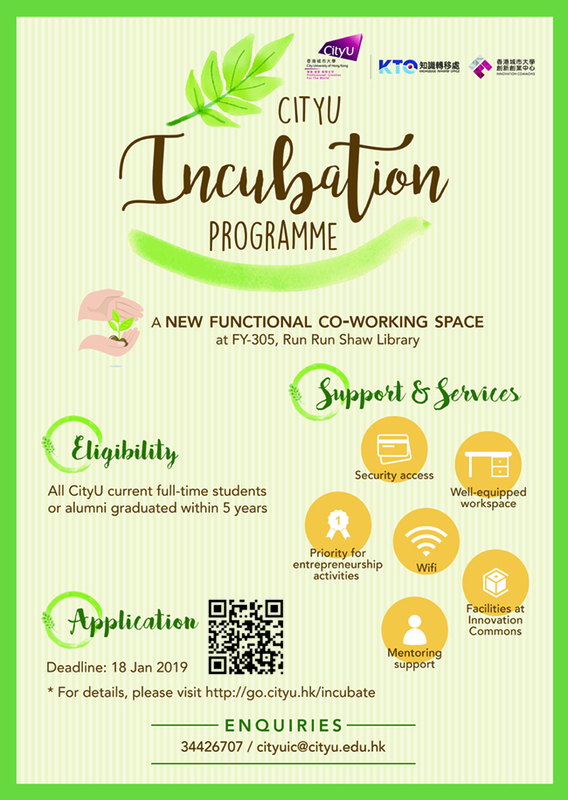 To offer further support to CityU start-ups and student entrepreneurship teams, CityU Incubation Programme provides a new functional workspace and support for creative works and entrepreneurship development. APPLY on or before 18 Jan 2019! For application and details, please click here.